PHD Hong Kong used Mirriad's algorithms to embed the Knorr brand's latest messaging into myTV Super programming. Unilever is inserting ads for Knorr products into programming on TVB’s myTV Super service, in an initiative managed by PHD Hong Kong and using Mirriad’s dynamic insertion technology. The effort allows Knorr’s messages to appear in popular video content at scale, reaching a potential audience of 6 million viewers in Hong Kong. The ads are appearing in a long-running drama series entitled Come Home Love: Lo and Behold (愛. 回家之開心速遞). The effort, which started on 12 September and runs through 2 October, supports an existing campaign, ‘The Irreplaceable Home Taste’. Each insertion spot provides approximately 10 seconds of product exposure, and overall the companies are aiming for about 4 million impressions. Mirriad uses machine-learning techniques to analyze and annotate content with metadata in order to flag potential spots for advertising, according to a spokesperson. 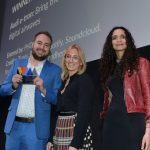 This allows the company to quickly convert content into saleable inventory, and Mirriad also uses machine-learning networks to measure delivered ads and ensure quality “without any human intervention or subjective bias”, according to the companies. Humans are kept in the loop to provide contextual judgement calls and final quality control, but they are heavily supported through automation, the companies reported. The system must handle a number of scenarios to ensure that the ad looks like it has always been there. For example, in the scene shown here, continuity demands that the ad appear in both the shot at the top of this page and in another shot from the same scene (below). Benjamin Li, head of online advertising sales at myTV SUPER, said advertising such as this preserves the integrity of the content and the viewing experience while opening new revenue streams and opportunities for advertisers. “The industry has long known that highly engaging content brings about higher ad memorability,” said Clement Chung, MD of PHD Hong Kong, adding that the effort gets the client’s branded messaging into popular programming “in a completely unique—yet un-skippable—manner”. Read the source article on Campaign Asia-Pacific.